Shemrock School Sector -69 organised spell contest for the children to find out champion of spellings. The school campus abuzz with elated children. 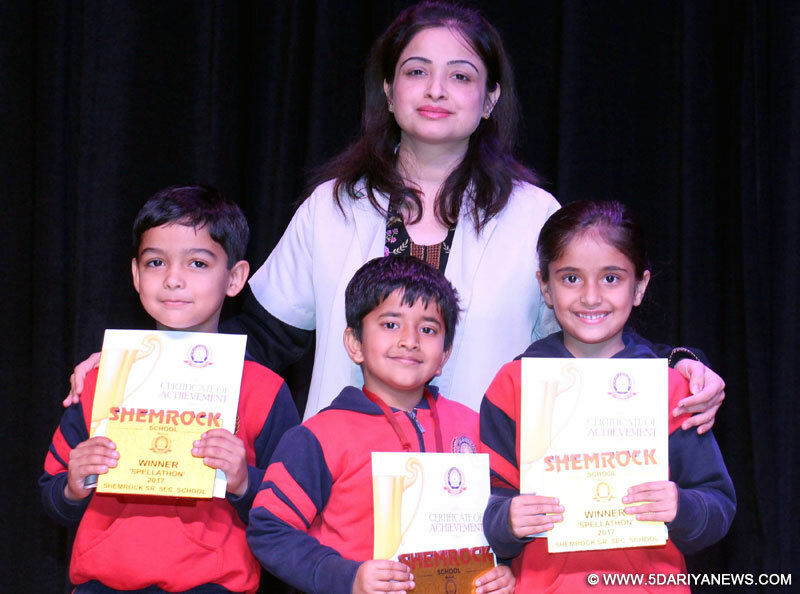 In the preliminary round of the champion of spellings contest, kids took a dictation test with questions on jumbled words and missing vowels followed by a buzzer round. Out of the total participants, 20 students cracked the 2nd round and entered the final round. The final round was a mind boggling oral test in which students gave tough competition to each other. The competitors were tested not only on their skills to spell a word, but also been asked to give the definition and pronunciation of the words. Avika, Devaansh ,Aditi, Dhritimaan, Mahijith ,Vanshika were declared winner of the competition .Director Education of the school, S K Sharma said the activity spell bee nurtures the child’s love towards language, He further added that innovative competition are demand of the time along with the extra-curricular activities to boost energy level and confidence in children and motivate them to work hard to succeed. According to him hard work and enjoyment are some of the key takeaways from competitions such as The Spell Contest .